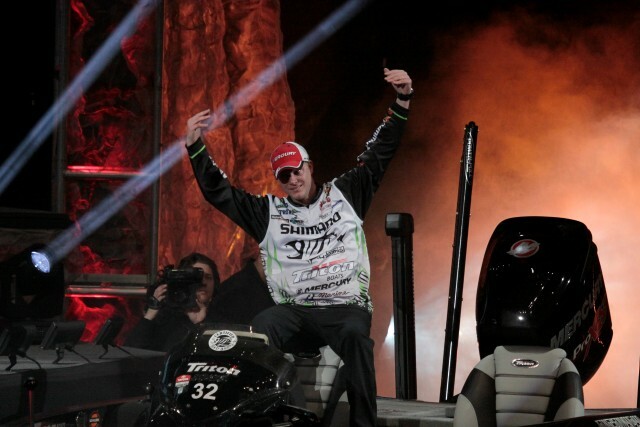 This is a time of transition for bass anglers. Bass finish their spawning and recovery and begin to roam about looking to feed in order to keep up with the higher metabolic ratesof the warm season. 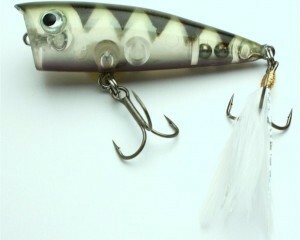 This means that bass will often be agressive and ready to chase down a meal. Smart anglers will begin to pick up some power presentations and make the bass react. One of those anglers is Strike King Lure Company pro Jonathon VanDam, the Elite Series winner from Kalamazoo, Mich. VanDam, as the name suggests, is a power fisherman, preferring to move through the water quickly, trying to cover as much water as he can in an effort to put his lure in front of as many active bass as possible. 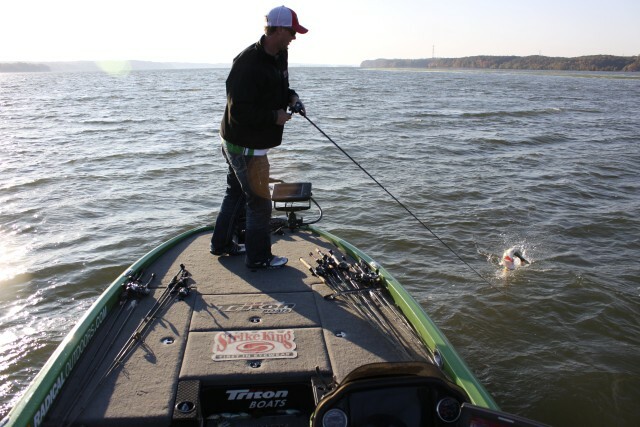 The “hunting” action VanDam mentioned refers to the fact that the bait sort of wanders off center of its retrieve before returning the middle; it does so in both directions, giving a random appeal to bass. Because of the work of Strike King’s designers, the bait has the right action, and is very stable on a high speed retrieve. 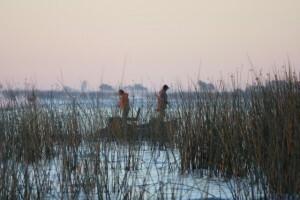 VanDam said that he waits for the bass to begin moving to the main lake as the final spawners move. As they head towards main lake points, they begin to stage on secondary points that are typically shallower and flatter that the main point of the tributary. 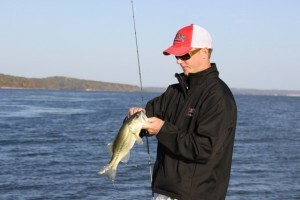 On hard bottom lakes, he looks for gravel bottoms to hold bass, but on soft bottoms, he changes his focus. 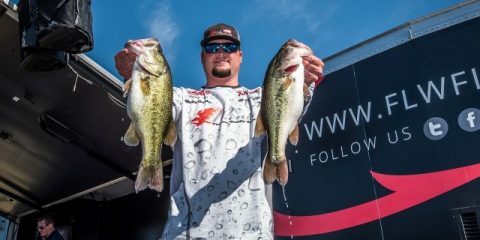 When thinking of the kind of strikes that can be generated by bass swiping at a fast moving lure, violence comes to mind. Bass usually ambush the lure and turn sharply with it in their mouths, literally stopping the lure in its tracks. VanDam compensates for this aggressive nature and battle ahead by using a specially designed crankbait rod with a soft tip and parabolic bend. 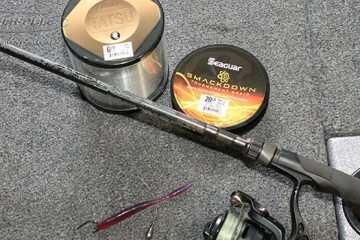 “I throw these baits on a 7’1” GLoomis GLX 855 crankbait rod,” he said. “It has the right action for making a lot of casts quickly, loads well on the strike, and handles the surges of big fish on a crankbait.” VanDam pairs his rod with a 6.5:1 retrieve speed Shimano Chronarch, which combines speed for the retrieve and the power to control hot fish. 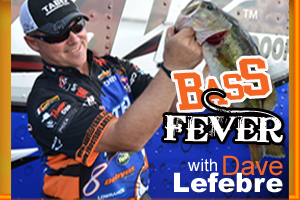 He said he has also begun changing out his stock treble hooks in favor of Lazer TroKar TK310 Wide Gap trebles for faster penetration on the hookset.